Nabucco, King of Babylon, takes Jerusalem in his war with the Israelites – but his daughter Fenena loves the Israelite Ismaele. She releases their prisoners, leading her vengeful half-sister Abigaille to plot to take power. Nabucco declares himself a god and is struck by a bolt of lightning. Abigaille tricks the now feeble king into signing a death warrant for the Israelites, including Fenena and Ismaele. 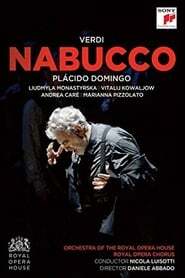 Nabucco prays to the God of Israel for forgiveness; his sanity is restored and he saves the prisoners from death. He converts himself and his people, while Abigaille commits suicide.